Speciality: Custom building and repair Web: www.philipporterguitars.co.uk Phone: 0785 3344 785 Email: info@philipporterguitars.co.uk Address: Salford Opening Hours: Monday – Friday 10am – 6pm Saturdays 10am – 5 pm To ensure that he is available please phone to arrange an appointment. 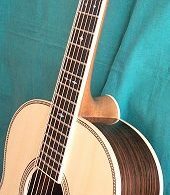 The Philip Porter Guitars Company was set up and is run by James Philip Porter an Luther trained at Leeds College of Music and has over 10 year experience working within the musical instrument trade. He built his first instrument at Art College in 1997 studies guitar building at Leeds College of Music from 1998-2002. There he learned all the skills necessary to make and repair instruments. Philip Porter Guitars was founded in 2002 with the aim of becoming a bespoke guitar manufacturing company. In 2009 he set up his workshop in Pear Mill, Stockport and has recently moved to a new location in Salford. 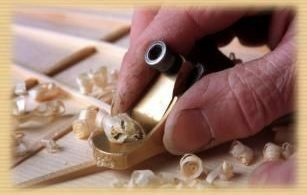 He specializes in designing and building individual instruments. 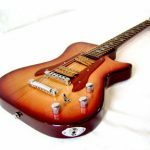 You can choose to have Philip design a guitar for you, or have an instrument made to your own specifications. Philip also provides a repair and set up service and sells his own range of hand made pickups.